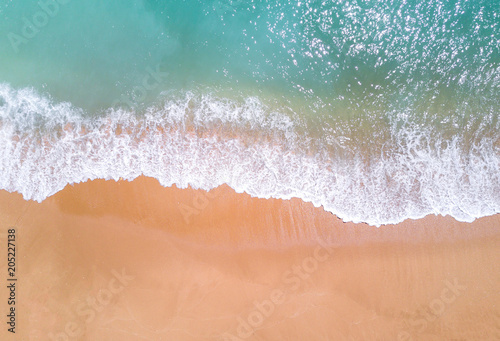 Amazing sandy beach. 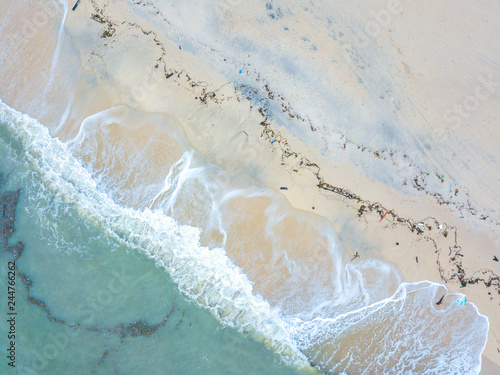 Aerial view. 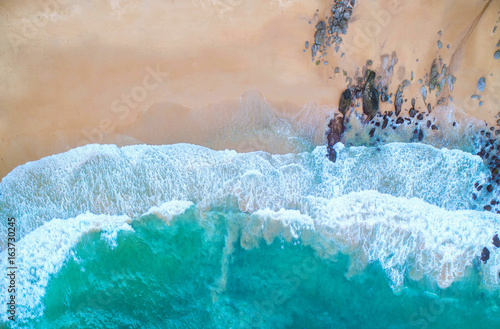 Tropical beach among rocky cliffs. 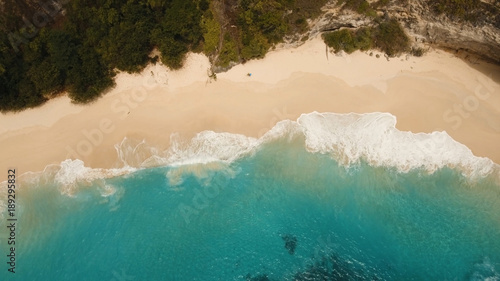 Karang Dawa, Manta Bay or Kelingking Beach on Nusa Penida Island, Bali, Indonesia. 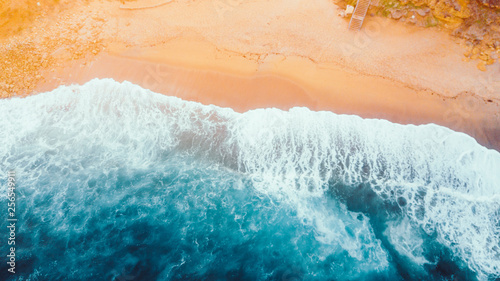 Travel concept. 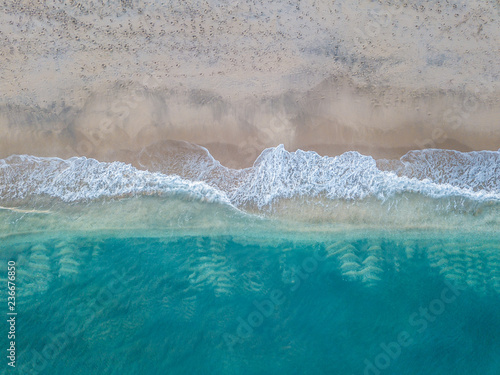 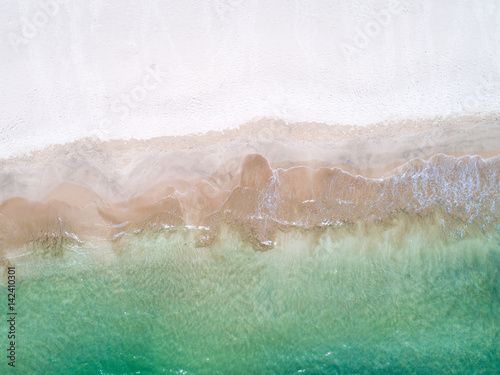 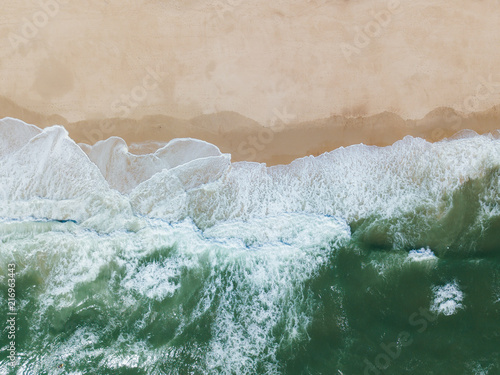 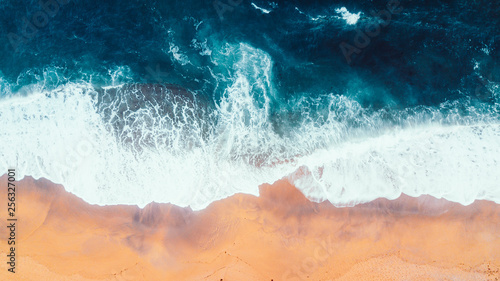 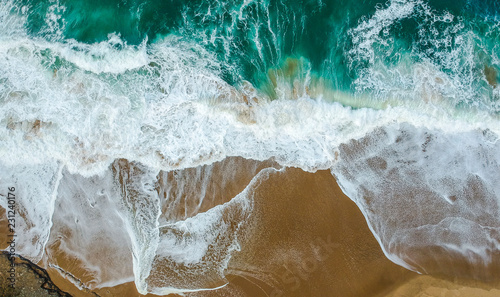 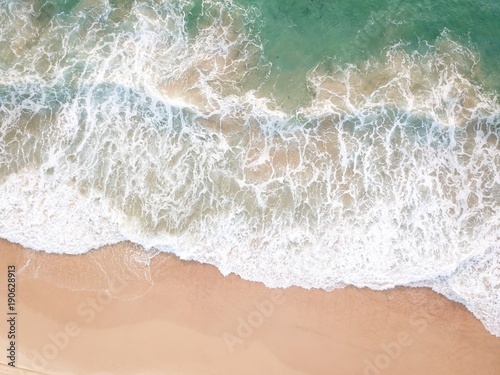 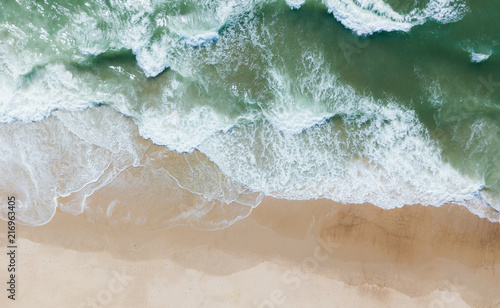 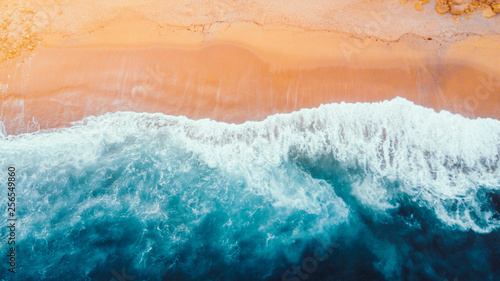 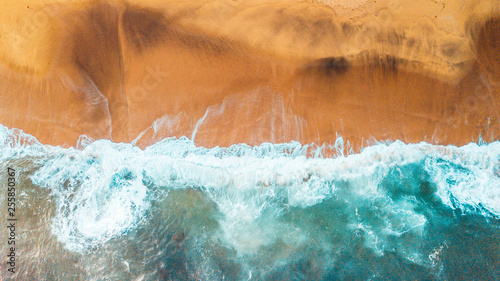 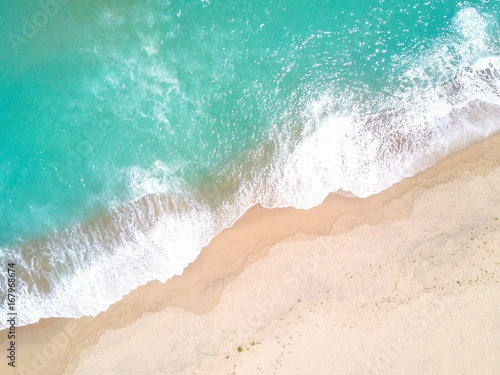 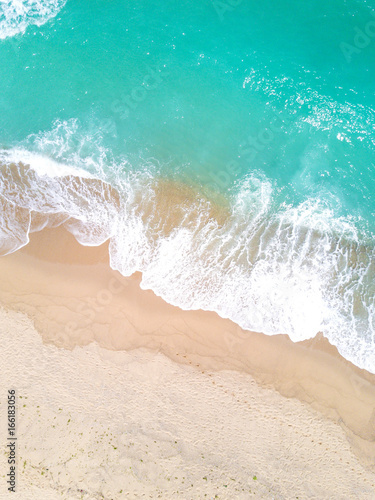 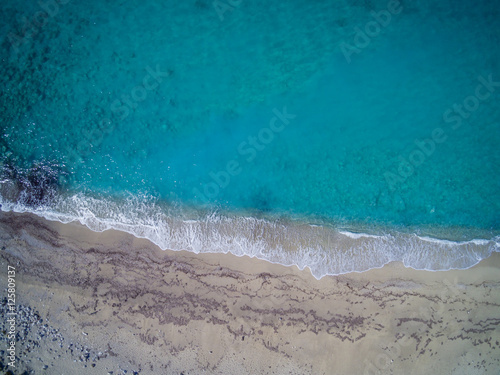 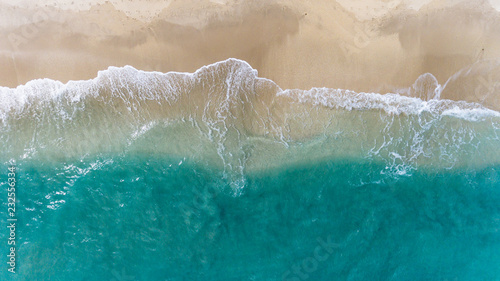 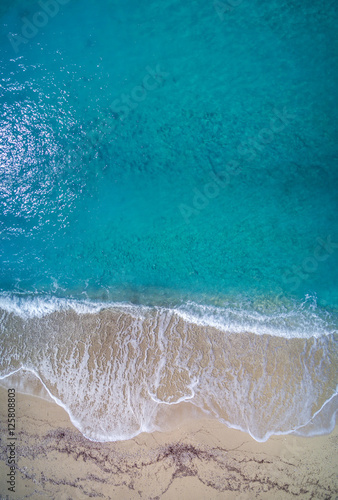 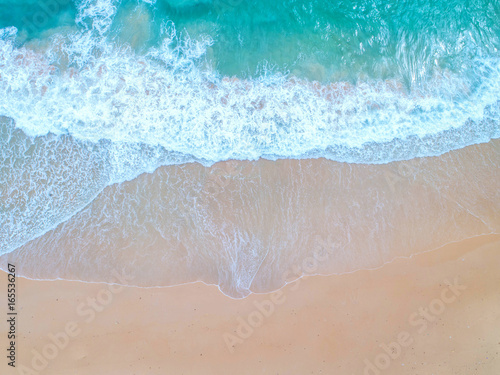 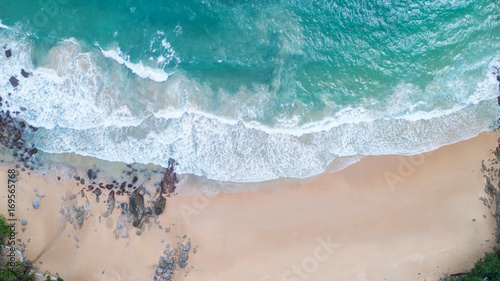 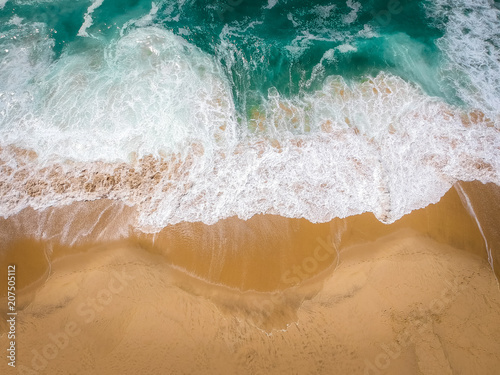 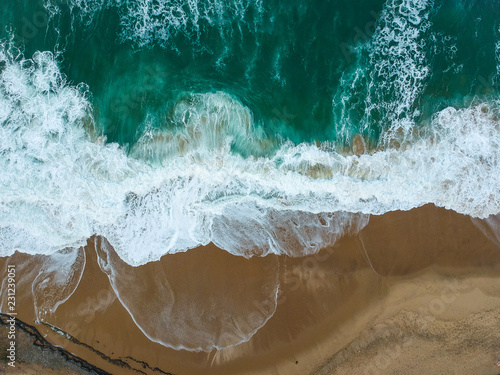 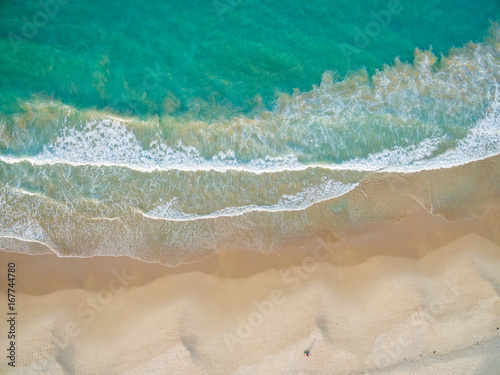 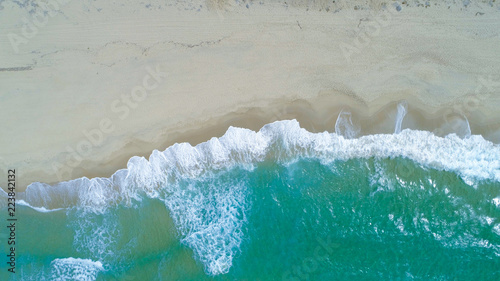 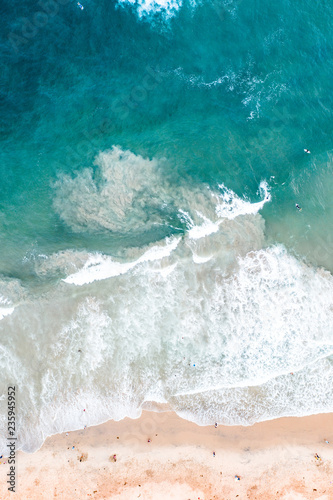 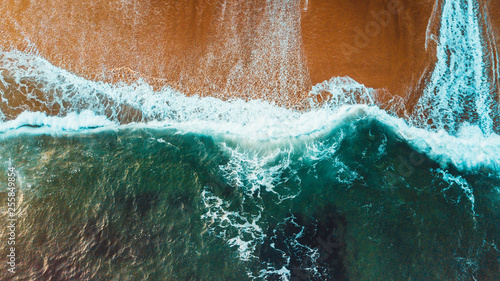 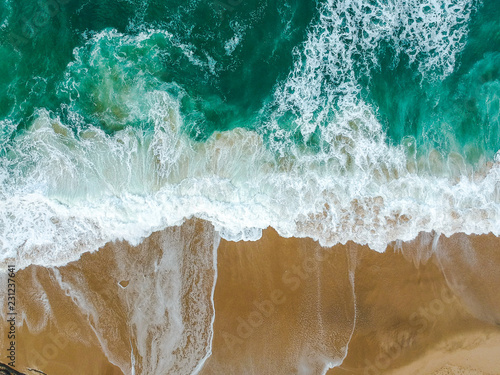 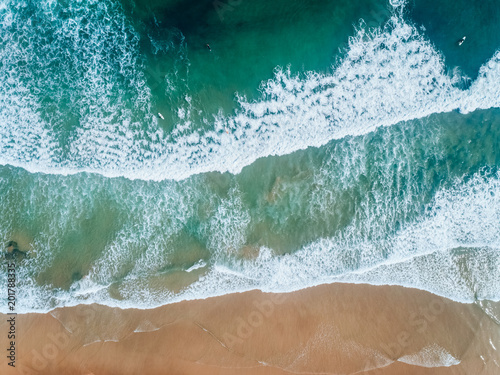 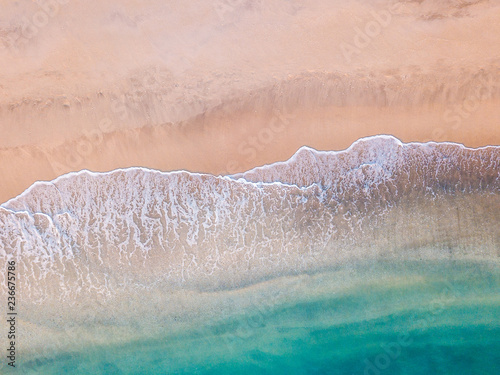 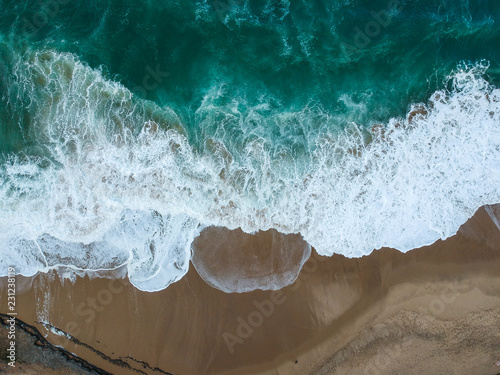 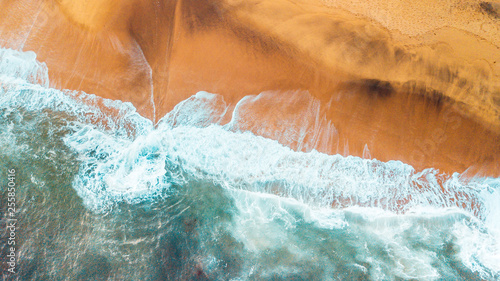 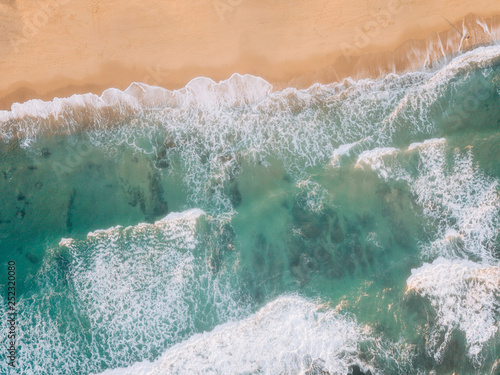 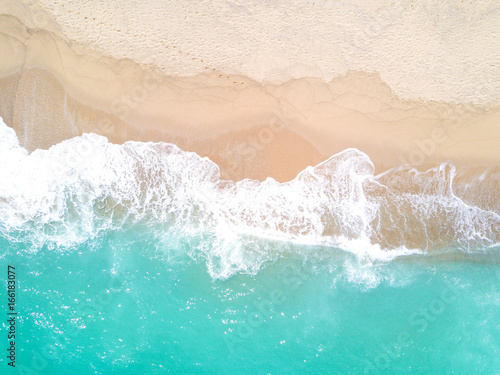 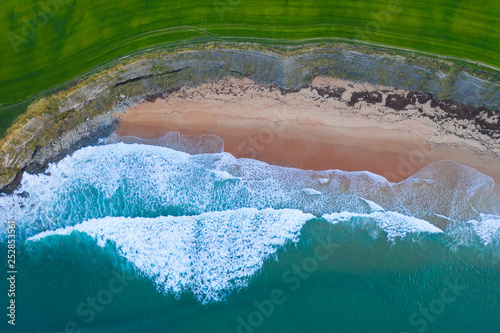 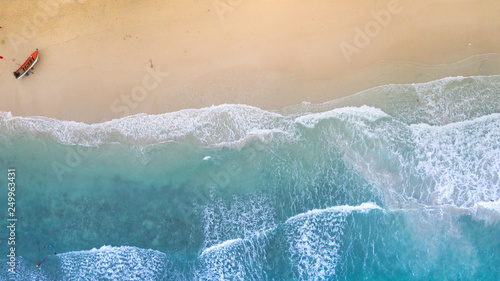 Sea aerial view,Top view,amazing nature background.The color of the water and beautifully bright.Azure beach with rocky mountains and clear water of Thailand ocean at sunny day. 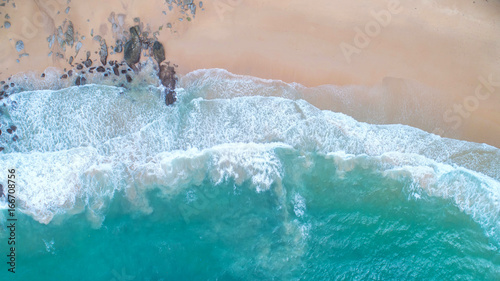 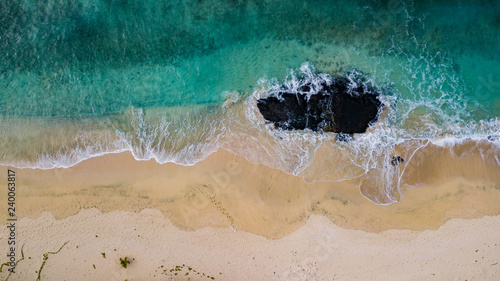 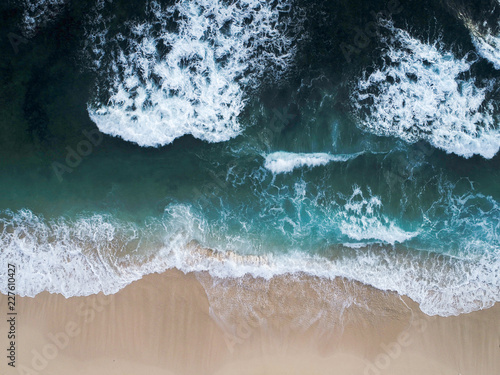 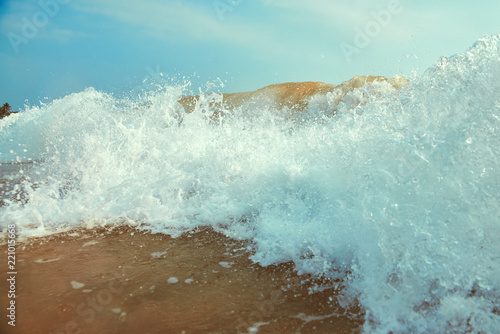 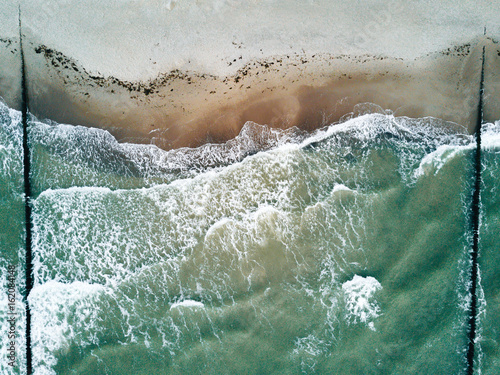 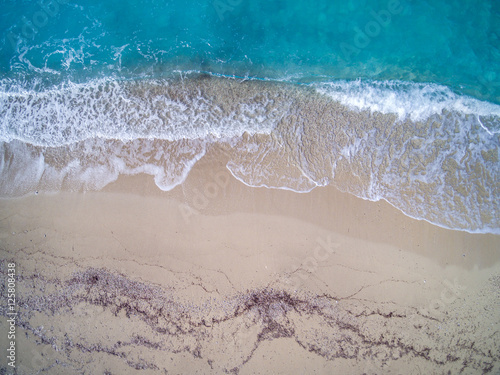 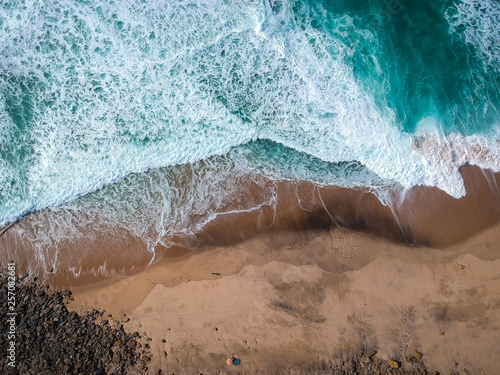 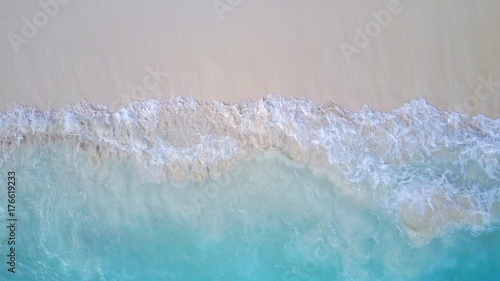 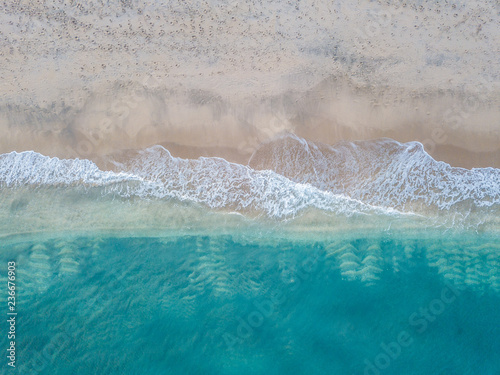 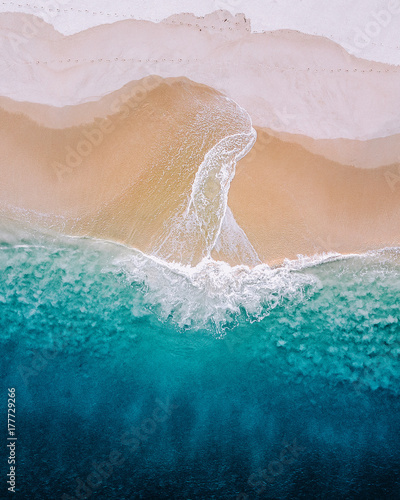 COPY SPACE: Flying above turquoise ocean waves washing the empty sandy beach.